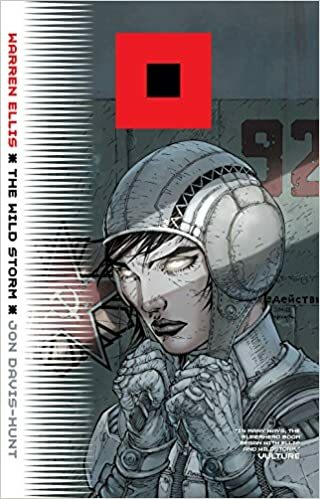 The Wild Storm is a title that appears to be taking classic WildStorm characters, especially those from WildC.A.Ts, and rebooting them in a modern day, sophisticated world. WildStorm was under the umbrella of Image Comics back in the 1990s when Jim Lee and other industry luminaries decided to start their own publishing house. Jim Lee’s characters were cool, but rather shallow and derivatives of DC and Marvel’s icons. Clearly, though, they had great potential as famed writers like Alan Moore and James Robinson took a crack at them. In The Wild Storm, Warren Ellis, one of the absolute BEST science fiction writers alive today, takes the most charismatic elements of characters like Void, Voodoo, Grifter, Deathblow, Zealot, and Engineer and strips away all of the excess. All of these characters now exist within one book, one story line, and are under the control of one vision, who happens to be visionary. I’m all in on this book. It is remarkably familiar yet utterly fresh. I know the characters, I know the names, but I don’t know what’s going to happen next. Ellis is always completely unpredictable and it’s obvious he’s building a comprehensive world in this title, not a super team. Jon Davis-Hunt creates cinematic, dynamic panels in this book. Most of the characters are wearing regular clothes in normal environments, but he makes all of it look GREAT. He adds all of these little touches that strike the reader subconsciously but may not be obvious at first glance. Things like shells flying though the air, glass shattering, hair blowing in the wind, or debris falling — these minor things connote movement and lead the reader sequentially from one panel to the next. The art is so smooth and fluid. Perfect. The Wild Storm is full of intrigue, action, violence, heroism, originality, and just enough nostalgia to charm. It’s obvious there is a sprawling, epic tale unfolding, and I can’t wait to see where it goes next. I haven’t been this excited about a title in quite some time.